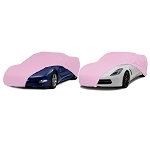 Protect your Corvette in style with this C6 Corvette 2005-2013 GM Indoor Car Cover with ZR1 Logo. 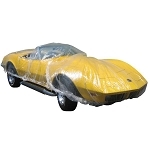 This C6 Corvette indoor car cover is the absolute finest protection available on the market for your C6 ZR1 Corvette's delicate finish. Display your proud ZR1 Corvette C6 ownership with the embroidered cover. 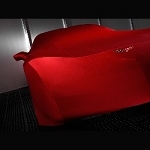 The Lycra fiber construction allows stretching in both directions and mirrors every contour of your Corvette. Protects from dust, scratches and minor bumps in your garage.